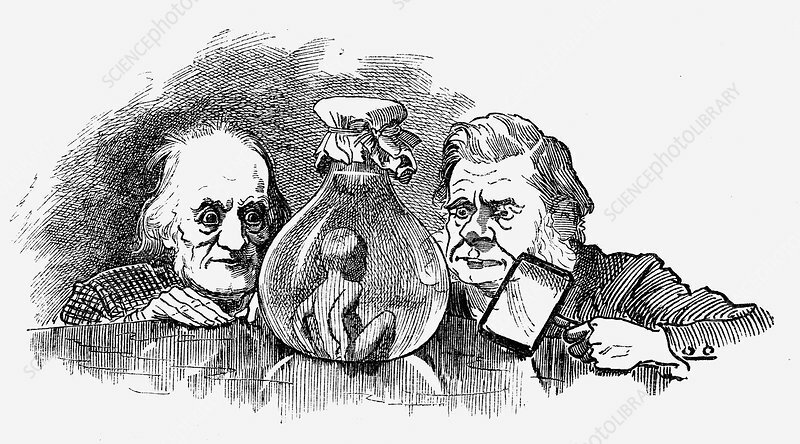 Water Baby' being examined by Richard Owen and T.H. Huxley. Tom, a run-away chimney sweep's boy, who falls into river and becomes a Water Baby, being examined by Richard Owen (left) and T.H. Huxley. Owen opponent of Darwinism, Huxley its great champion. Illustration by Linley Sambourne. Artist: Edward Linley Sambourne.